The location of the discovery site is also significant for researchers, who previously thought the beginnings of mankind was rooted in east Africa. "We used to think that there was a cradle of mankind 200 thousand years ago in east Africa, but our new data reveal that Homo sapiens spread across the entire African continent around 300 thousand years ago. Long before the out-of-Africa dispersal of Homo sapiens, there was dispersal within Africa," palaeoanthropologist Jean-Jacques Hublin of Germany's Max Planck Institute for Evolutionary Anthropology, who helped lead the research, said in a release. Hublin explained to Reuters that humans "did not emerge in an Adamic way in a small 'Garden of Eden' somewhere in East Africa. It is a pan-African process and more complex scenario than what has been envisioned so far." The homo sapiens are believed to have lived a hunter-gatherer lifestyle, as they were found alongside bones of animals that they hunted, including gazelles and zebras, and with stone tools possibly used as spearheads and knives. 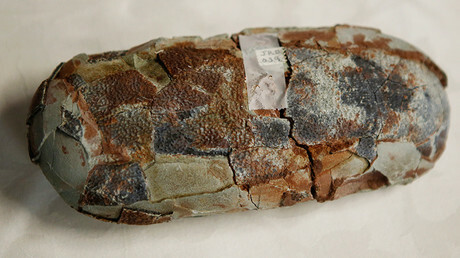 Evidence of extensive fire use was also found in the form of heated flints. Analysis of those flints, using what is known as the "thermoluminescence dating method," allowed researchers to calculate the age of the nearby human fossils. "Well dated sites of this age are exceptionally rare in Africa, but we were fortunate that so many of the Jebel Irhoud flint artefacts had been heated in the past," said geochronology expert Daniel Richter, previously of the Max Planck Institute. 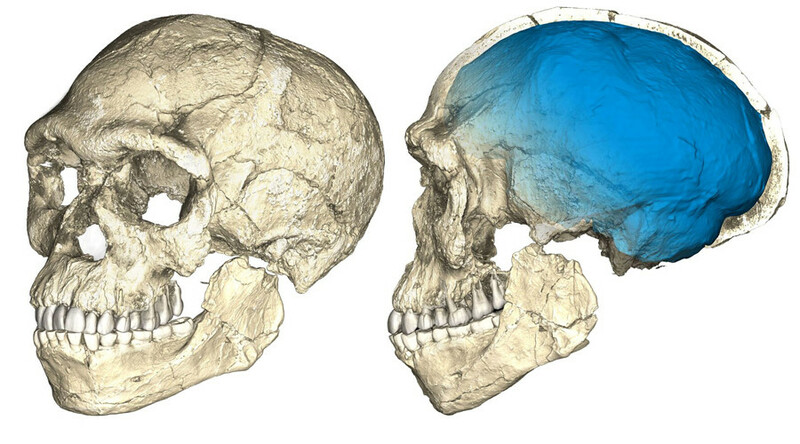 The findings also provide information on the evolution of the human species, as the fossils were found to have had large ‘braincases’ which lacked the "globular" shape of today's humans. Based on the shape of the fossils, the researchers concluded that a previously discovered partial cranium found in Florisbad, South Africa, also came from the homo sapien species. Prior to the new discoveries, the oldest known homo sapien fossils had come from an Ethiopian site called Omo Kibish.